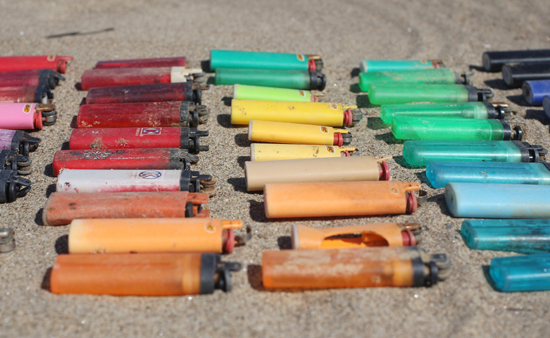 The other day I spent some time picking trash up on the beach and realized I seemed to be finding A LOT of lighters. Every few steps I was finding one. I decided to pick all of them that I found up in hopes that I’d maybe find enough to take a special picture of them on their own. By the time I was done, maybe an hour and a half later, I had found fifty lighters total. Crazy, right? Of course, I had to lay them out in color order for the photo. Aside from lighters, another thing I seem to find a lot of are combs. Beach combin’! Hehe! 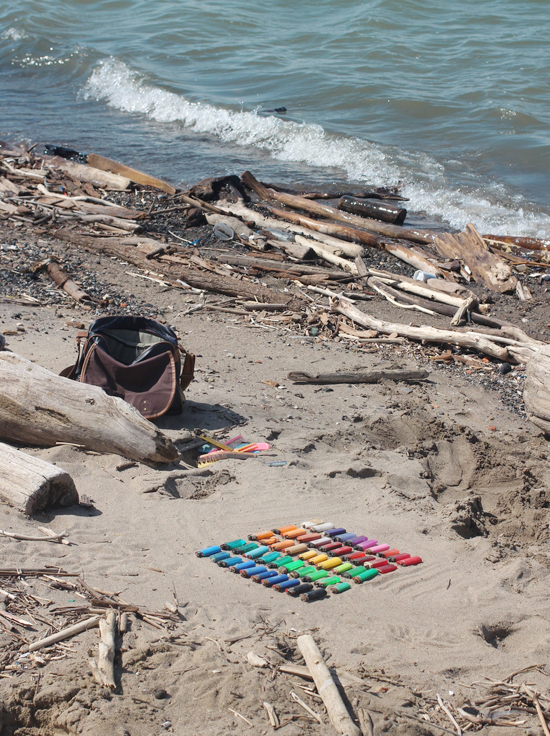 I also find a lot of tampon applicators but I don’t think I’ve reached the level of crazy where I think picking up tampon applicators on the beach is acceptable… yet. 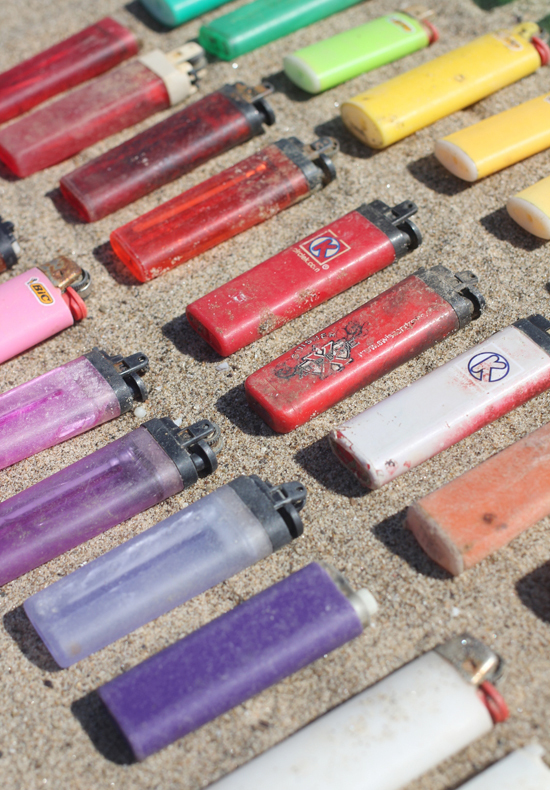 Buuuuut I have reached the level of crazy where I’ve decided to keep all of the lighters I found that day and all of the lighters I find on the beach until the end of summer so that I can take a huge group photo of them. The handful of times I’ve been back to the beach since this time I’ve found maybe five or six more each time. Obviously that’s nowhere close to as many as the first time but it still seems like a lot. Anyone want to take a wild guess how many my end of summer group photo will have? I’m super curious myself. That's so crazy! They make awesome photos. That would be pretty cool! I definitely plan on throwing them all away at the end of this silly little project though. Mostly because I know it would become a dangerous cycle of me wanting to bring home more and more beach trash to make pieces for my walls. It would be a cool diy project if you made a table top out of all the beach glass you've found! you kept all those lighters??!! They're all in a box in my garage and I'm going to just keep adding to the box until the end of summer. 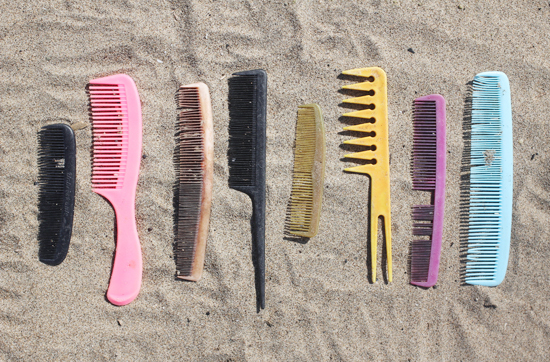 Ew, so many people are changing their tampons on the beach??? WHY??? yep, now you know to bring a pair of gloves! Seriously… the fact that there are so many tampon applicators that are ending up there is just bizarre. Dang! These pictures are really nice! It's tragic that all this trash is left behind, but at least it makes for a good print AND it's getting thrown away now as well. As for the tampons… well… at least you're only finding the applicators, right? I guess that's a good way to look at it, haha! That is so crazy! You are going to have an insane collection by the end of the summer. So many lighters! I can't wait to see the big collection at the end of the summer! That is a crazy number of lighters but I love the little display you made of them! I can't wait to see all of them at the end of summer! 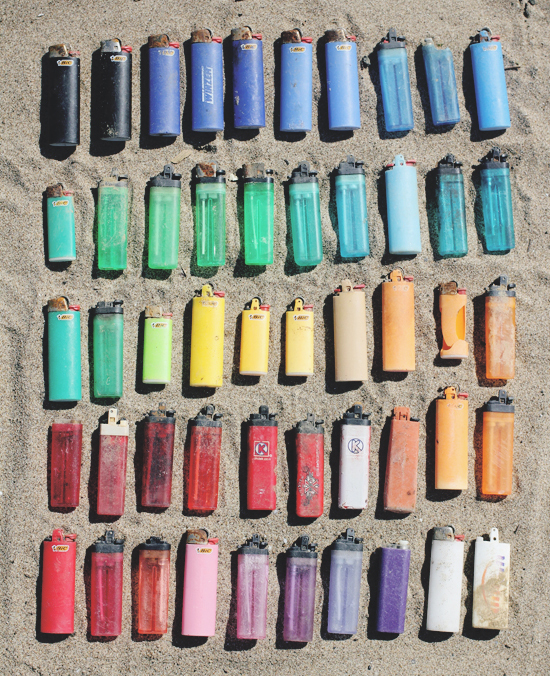 I can't believe you found so many lighters! I know they are tiny enough to get misplaced or fall out of a beach bag or pocket, but jeez! I am surrounded by people who don't smoke so I never encounter lighters in my daily life. This is awesome. The fact that you found different colors each time is amazing. Such great photography! 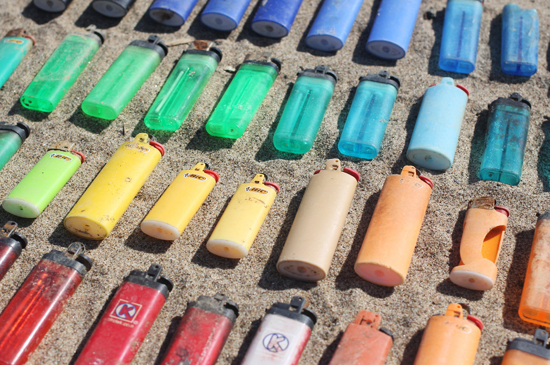 It seems crazy to me that there are that many lighters on the beach! But, not as crazy as tampon applicators.. Like.. Are they actually changing them on the beach…? That is repugnant. Hahaha. I can't wait to see how many lighters you end up finding! Thanks for removing them from the beach! They make for a really neat photo, especially in color order! Wow that is quite a collection. I guess people bring their lighters to smoke on the beach or make a bonfire? I'm going to throw out a random number abd guess 267. 🙂 Great photos! I'm always a little sad that I don't often find beach glass (or anything else you'd wanna keep) at the beach but I guess if the other side is that there isn't this much rubbish either then I shouldn't complain. Although, you do make it look quite appealing! love these posts!! 🙂 so pretty! This is just so sad. 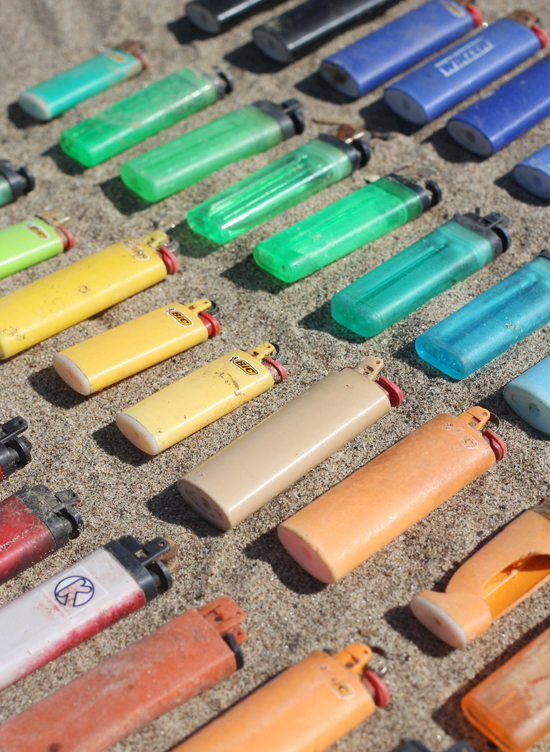 This stuff washes up on shore more than it's left on the beach. It either comes back on shore or ends up in the floating plastic fields in the ocean.